Complete your home with our new Megan Floor Lamp. 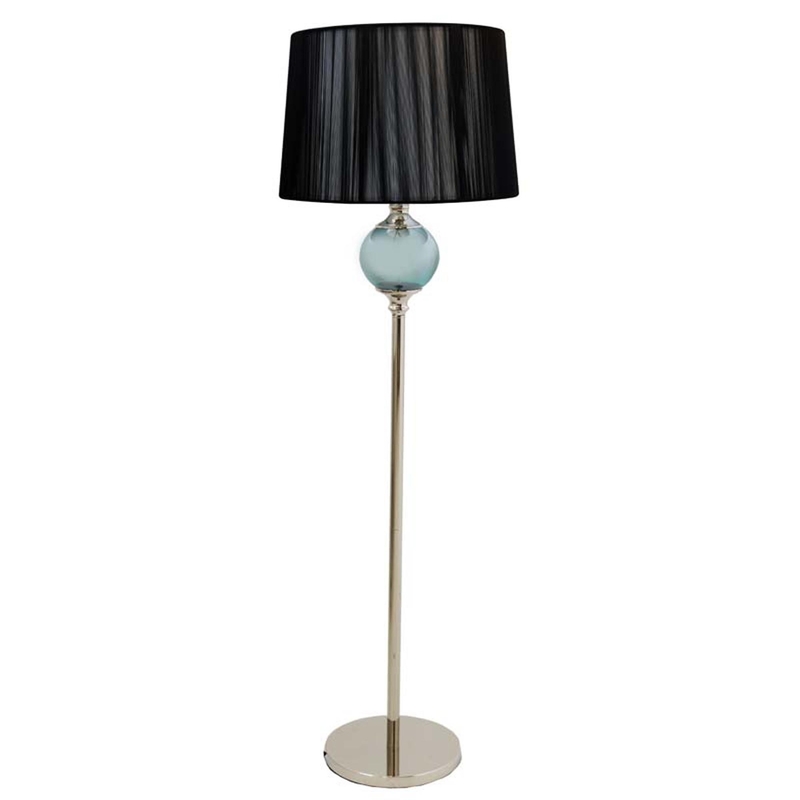 This piece comes in two colours, one with aqua glass, a chrome base and a circular black thread shade, while the other has white glass, a chrome base and a white circular thread shade. These beautiful floor lamps will add a elegant touch to your home with its opulent style. If your looking for a classic but stunning piece for your home without it taking over the room, then the Megan Floor Lamp is perfect.